People born in April are Aries (1st – 21st) and Taurus (22nd – 30th) and their birthstone is Diamond. This month has witnessed several legends over many years. And here we present you the Top 10 Famous People born in month of April. Born in Hong Kong, Jackie Chan is the master of several skills like acting, comedy, action, choreography, singing, martial art and screen-writing. He has appeared in more than 150 films worldwide. He has stars on the Hong Kong Avenue of Stars and the Hollywood Walk of Fame. He is popular not only in his native industry but throughout the world. And it is his popularity and craze that he has been the inspiration for various cartoons, videos games and songs. He is very much popular among kids with his good-matured style and public behavior. Victoria is a famous fashion designer, model and singer. She rose to fame after the success of her pop group – Spice Girls. Even after the group broke up, she was signed by Virgin records and Telstar Records and had 4 UK Top 10 singles. Moreover, she is known for her success in the modelling world where she also started her own denim brand – dVb. She married football star David Beckham in 1999 and had four children. They are consistently ranked as one of the hottest couple in the world. Moreover, they are among the richest couple of Britain with their joint wealth is estimated at 380 million pounds. Best known for her role in The Twilight Saga film as Bella Swan, Kristen is the queen of every bachelor’s heart with her stunning looks and aura. Although she had been working in movies for many years before, but it was The Twilight series that made the road-map for her stardom and popularity. According to The Forbes, she was the highest paid actress in 2012. She ranked #7 in AskMen’s list of Top 99 Women for 2013. Born in Russia, Maria is one of the most renowned tennis players. Currently, she is ranked world no. 6 by WTA but she has tasted the number 1 spot for a total of 21 weeks in her career. She made the news in 2004 by defeating two-time defending champion and top seed Serena Williams in 2004 Wimbledon final. For now, she has won 32 WTA singles titles including 5 grand slams. She was also named as one of the ’30 Legends of Women’s Tennis’ by Time in 2011. It is her success and beautiful looks that she is one of the most successful sportsperson in the endorsement industry. In March 2006, Forbes listed her as the highest paid female athlete in the world and also the only women in the list of ’50 top-paid athlete’. Moreover, her beauty has also been admired over the year with Maxim ranking Sharapova as the hottest athlete in the world for four years. Known as the master of literature romance, William Wordsworth was an English poet who helped in establishing the era of Romance in the Literature world with his publication of the Lyrical Ballads. He is mostly famous for his beautiful poems, especially, The Prelude, Peter Bell and Homes at Grasmere. He received an honorary Doctor of Civil Law from Durham University and Oxford University. It was the death of his daughter, Dora, which made his production of poetry to come to a standstill. He is one of the most admired actors of this era. Although he made his acting debut in movie Pound at age of five but he raised to fame with his acting skills in Sherlock Holmes and Iron Man series. He is considered to be the most reputed and respected actors in Hollywood. The rage and popularity of Robert can be estimated by the business his movies do. He has starred in six movies that have grossed more than half billion at box office. Two of his movies, The Avengers and Iron Man 3 earned over $1 billion at box office. The Forbes magazine has listed him the highest paid Hollywood actor with estimated earnings of $75 million between June 2012 and 2013. He has won 1 Bafta and 3 Golden Globe awards. ‘God of Cricket’, ‘Master-Blaster’, ‘Little Master’ and many more, I guess nicknames will run short to define the greatness and popularity of this wizard of Cricket. Born in India, Sachin Tendulkar is acknowledged as the greatest batsmen of all time. He is the only player to score 100 international centuries, first batsman to score a double century in One day international match and only player to complete more than 30,000 runs in international cricket. Just in the middle of his career itself, Wisden Cricketers’ Almanack ranked him the second greatest test batsman of all time in 2002. Such is the legacy of his personality as a sportsperson that his opponent team players have been quoted saying “I have seen God. He bats at no. 4 in India in Tests”. The ink will run out but his stories of popularity, his game and acclamation will never run out. Known for his cruelty and barbarism against the Jews, Hitler was the dictator of the Nazi Germany and responsible for genocide of around 5.5 million Jews and millions of other victims. But beside these heinous crimes and actions, he was the master of public engagement and mobilization. It was only because of his personal magnetism and understanding of crowd psychology that he was successful in building up such a big Nazi Army. Even after his death, if anything heinous or cruel has to be measured then it is compared with Hitler’s actions only. 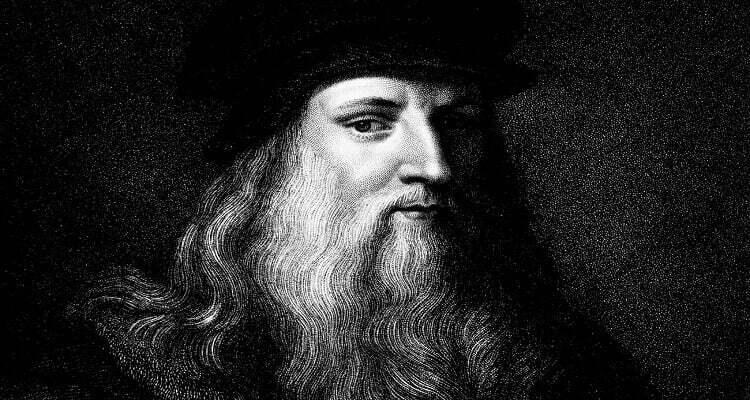 Leonardo was the master of all art. He was an Italian polymath: painter, sculptor, geologist, anatomist, engineer, inventor, musician, architect, mathematician, botanist, writer and many more arts to name. He is described as the man of unquenchable curiosity and inventive imagination. He is not only one of the greatest painters of all time but undoubtedly the man with the most diverse talent and skills. Who does not know the world’s most famous and parodied painting – Mona Lisa and the world’s most reproduced religious painting – The Last Supper. These two cultural icons are the masterpiece of Leonardo itself. And his work was not limited up to paintings and pictures; he is revered for his technological ingenuity as well with his conceptualization of flying machines, adding machine, armored vehicle and many more. There will be not a single literate person on this earth who has not heard of him and is unaware of his artistic works. Known as the ‘National Poet of England’ and ‘Bard of Avon’, he is undoubtedly the greatest English poet and play-writer world has ever known. He is famous for his epic plays and tragedies like Romeo and Juliet, Macbeth, Othello, Julius Caesar. His work not only included the tragedies but comedies as well like The Comedy Of Errors, The Tempest, As You Like It to name a few. He married Anne Hathaway and had three children. One more interesting thing is that the month of his death is same as the month of his birth i.e. April. He died on 23rd April, 1616. But even after his death, he is still immortalized in the hearts of literature and art lovers.